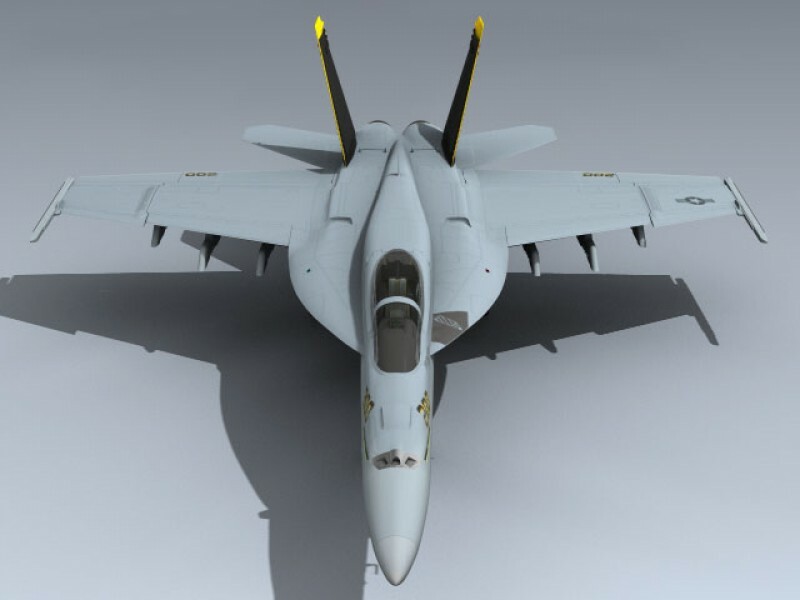 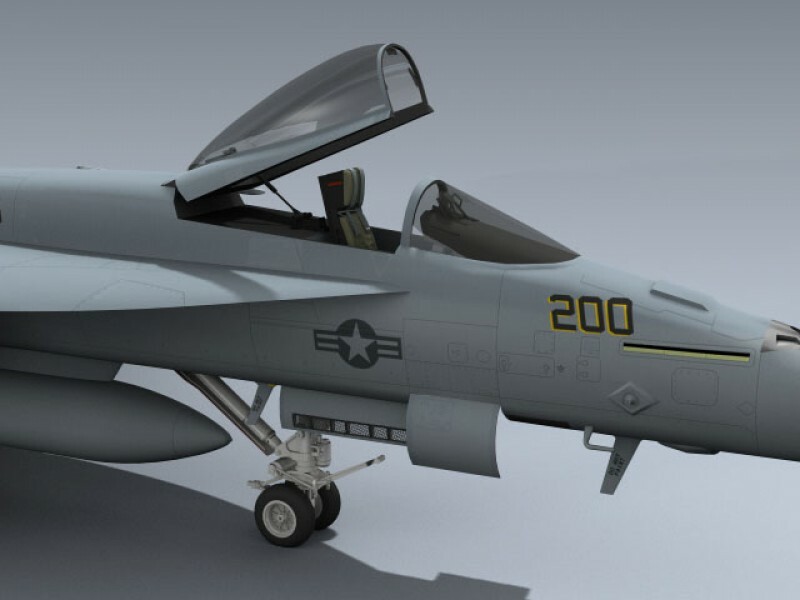 Very detailed single seat Super Hornet with separate drop tank, ejection seat, flaps, slats, tails, rudders, canopy, and wing folds for animating. 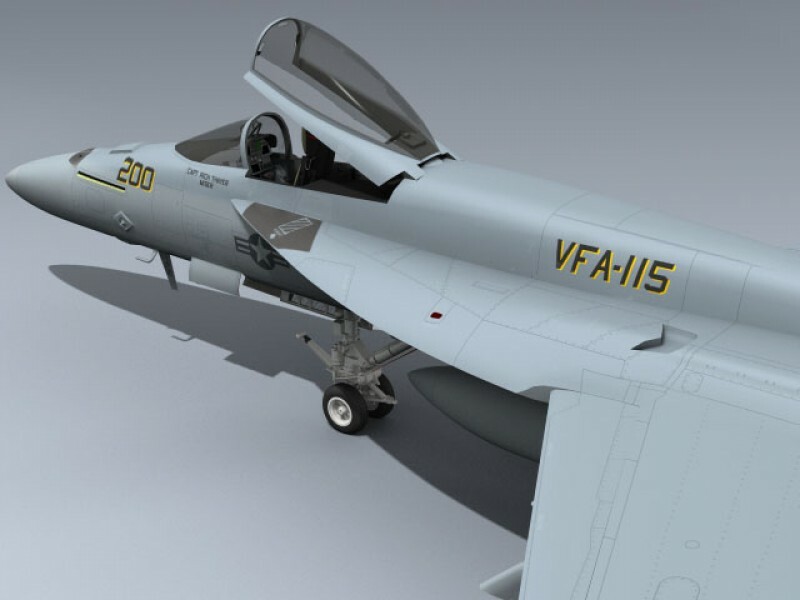 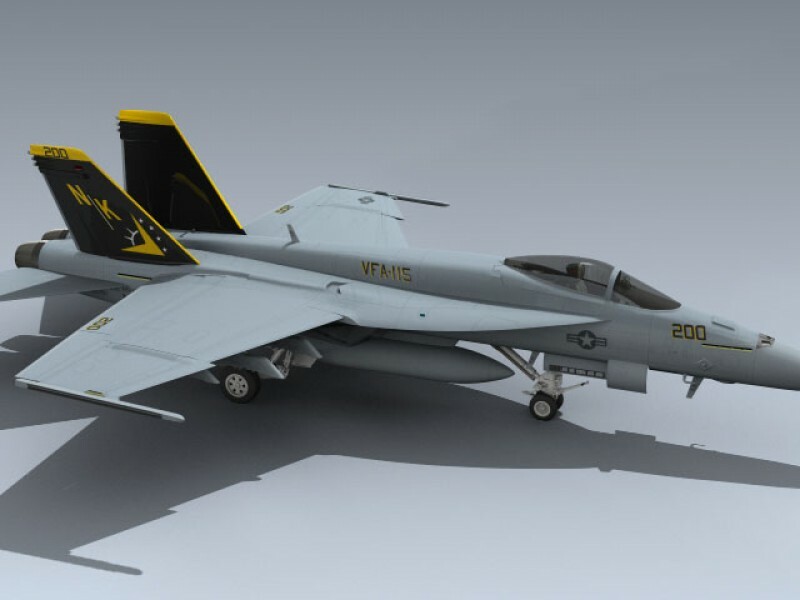 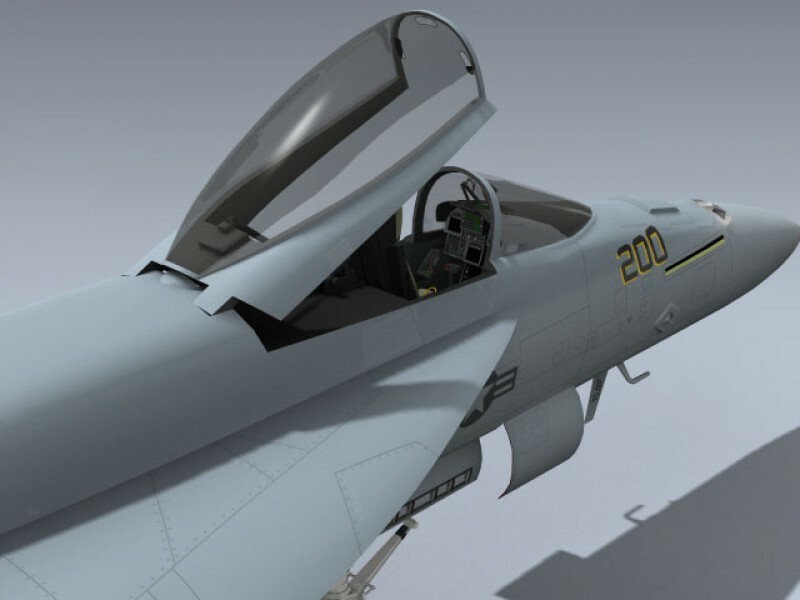 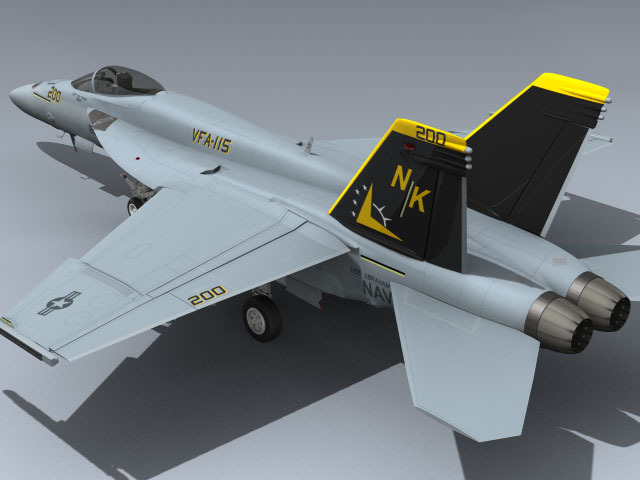 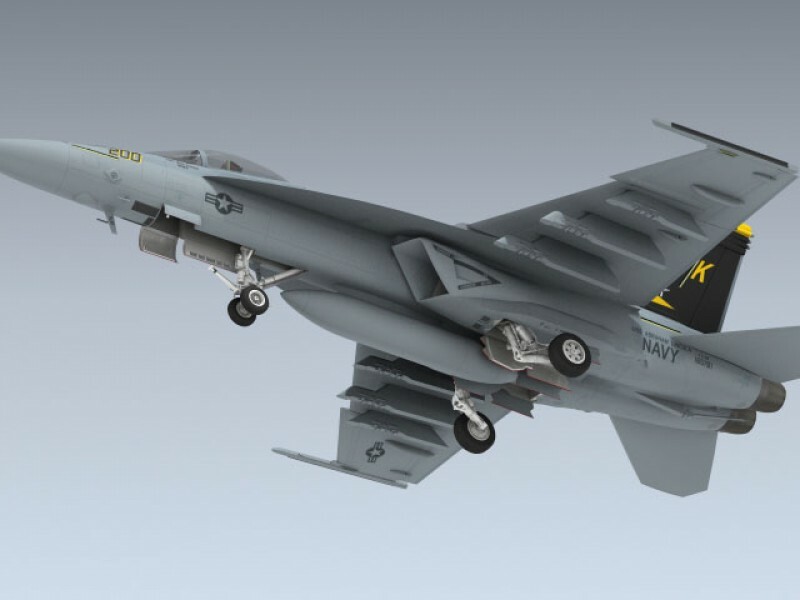 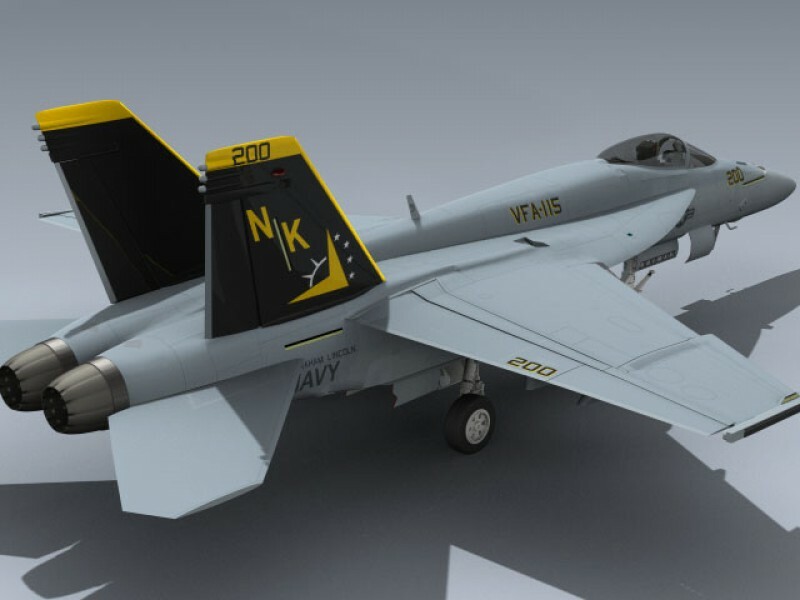 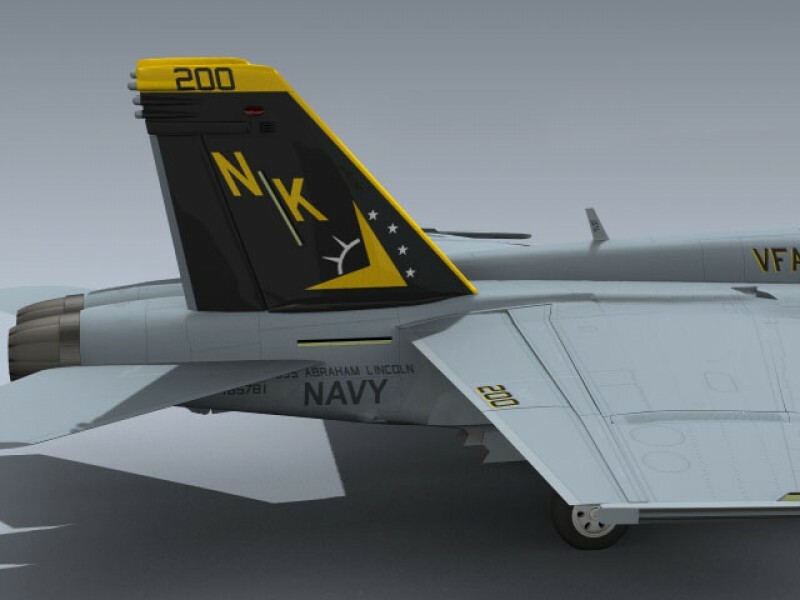 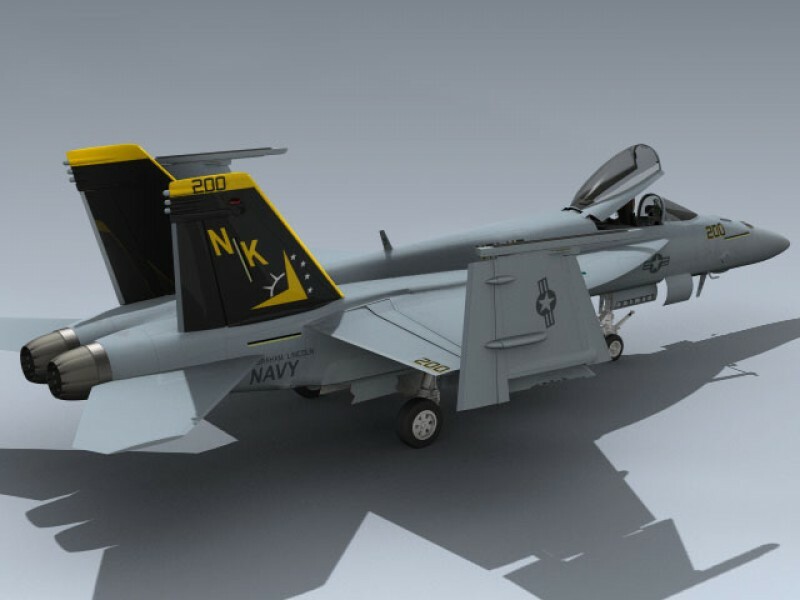 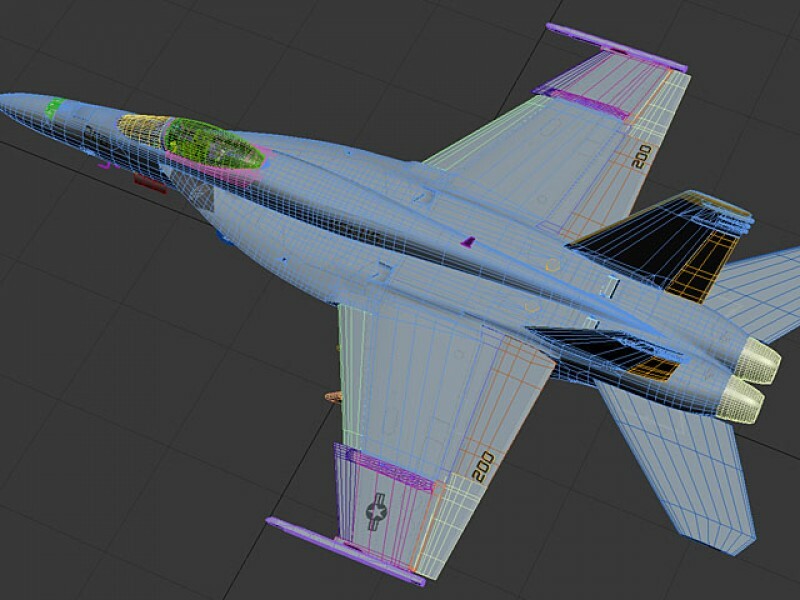 The texture maps depict the CAG bird from VFA-115 Eagles circa 2001. 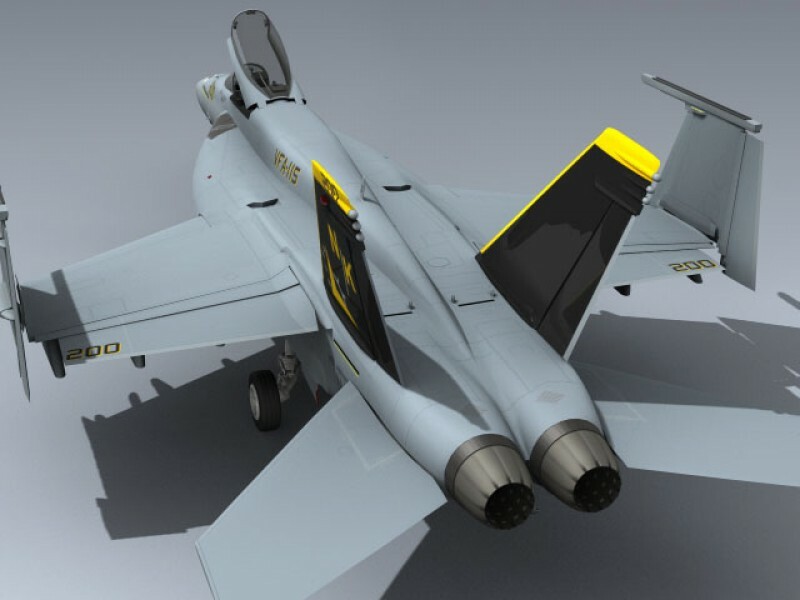 The model includes a separate set of landing gear doors in the closed position for fast in-flight setup.